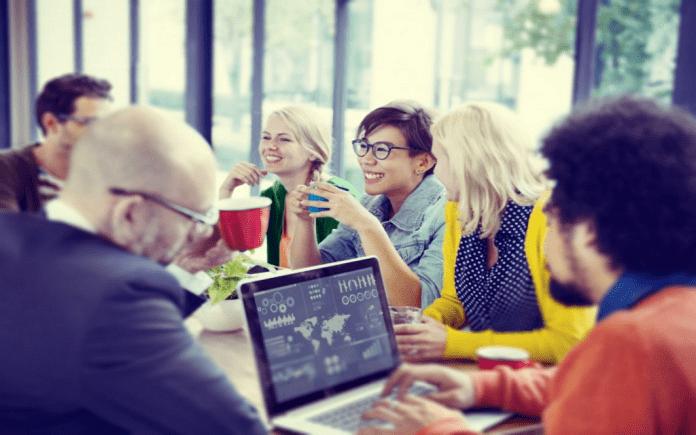 It almost seems like a no-brainer that you should definitely keep up with the times and implement a web conference solution for your company, whether it is big or small, new or old. However, there are very valid concerns that go into a business decision like that, such as what advantages you can get over doing things the old-fashioned way. In this article, we will discuss a number of the pros as well as the cons that your company can gain from switching over to a video meeting platform for most of your internal department’s needs. According to the HR Daily Advisor, your employees’ productivity can go up dramatically because they will no longer have to deal with the daily commute. This also applies to the idea of having to hop into a car and drive off to a specific venue that could be several hours away just so that you can seal the deal with a client, customer, or a business partner. Do not forget that the round trip back to the office will also cost you quite a lot of time, and that is just for a trip that will not have to occur out of town. What more if you have to wait around at the airport for several hours so that you can hop onto a flight that will also take nearly a day before you arrive at your destination, only to do it all over again once you are on your way back to your company? By investing in video meeting software like BlueJeans, you will be saving your company quite a hefty sum of money. You will not have to spend a dime on board and lodging, gas, commute, or even food, which are things you would normally have to shell out cash for if you were taking a business trip out of the country. Plus, you will not have to give up working on any other tasks that require your attention because you will have a lot of extra time to spare. The issue with being super easy to reach is that each and every single person in your company will want to have a piece of the pie known as your precious time. If you ever got irritated at the fact that the convenience of the mobile phone has made it impossible to have even a single minute of peaceful alone time with yourself, then this solution might just drive you nuts. A solution, though, would be to enforce working hours where your employees or co-workers are allowed to contact you, with a promise that you will get back to them once you are back on the clock. You can do the same for your clients if you have a close enough bond with them. While it is a lot easier to talk to somebody whose facial expressions and gestures you can see, it is not quite the same as being in the same physical space as the other person, where you can gauge each one’s distance from each other. Does this person like to lean in close to you when making a point, for example? Do they have a tendency to invade your personal space a little too often? Do they tend to lean away from you, as if they did not want to be anywhere near you? Are they slouching a little too much in their seat? According to an article by Katherine Noel on the website Business Insider, if the other person does not maintain eye contact with you while you are speaking, then it implies that they are not interested at all in what you have to say. While this may be excusable during a video conference, where they might be trying to type some notes while you two are talking, it is absolutely inexcusable in a face to face conversation.